Drink, Dine, & Dance! Latin Magic is back by overwhelming demand. 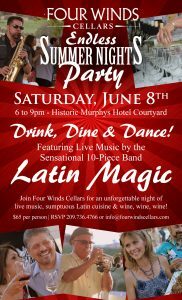 Join Four Winds Celalrs at the Murphys Historic Courtyard for a night you won't forget.